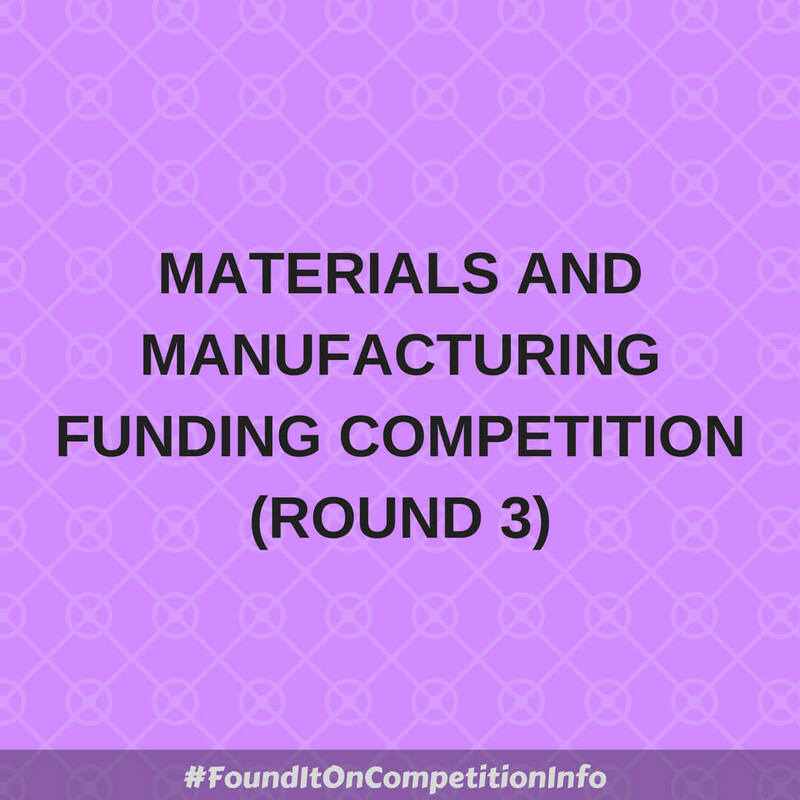 United Kingdom-based businesses can apply for a share of up to £15,000,000 (fifteen million pounds) to work on innovation projects in manufacturing and/or materials. Projects are expected to range in size from total project costs of £50,000 (fifty thousand pounds) to £2,000,000 (two million pounds). Projects are expected to last between 6 months and 3 years.